Need a Home Inspection in Spruce Grove? Spruce Grove is located in Alberta, near Edmonton. It’s directly next to the town of Stony Plain, in Parkland County. In 2016, the city had a population of 34,066, which makes it the ninth-largest city in Alberta. 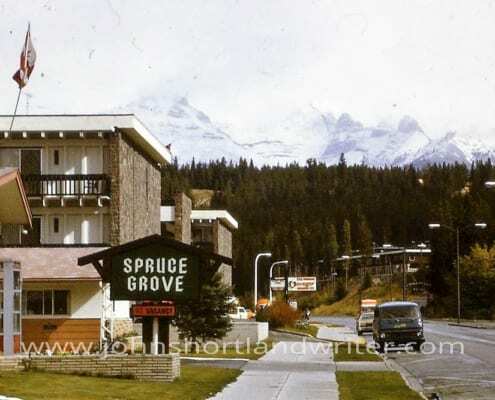 The area was occupied by homesteaders as early as 1879, and Spruce Grove was first incorporated permanently as a village on January 1, 1955. In the following decades, it was recognized as a town, and then as a city on March 1, 1986. As of the 2016 Census of Population, there was a 30.2% increase in the number of people living in the city. The population rose from 26,171 to the current estimate of 34,066. There are a total of 13,109 private dwelling in the city. Transportation in Spruce Grove is primarily car-based. Two major highways pass directly through the city. Highway 16 and Highway 16A provide easy access to Edmonton to the east, and to neighboring communities of Stony Plain, Jasper, and Hinton to the west. There is also a local bus-based transit system serving citizens within the city boundaries. Local air travel is facilitated by Parkland Airport and Villeneuve Airport, though Edmonton has the nearest major international airport. Media in the area is primarily based around Edmonton, and there are few local publications, TV stations, and other such media outlets. However, Spruce Grove Examiner, which focuses on local news, is delivered every Friday. In addition, the FM radio station 88.1 “The One” is dedicated to local news, sports, and other coverage in Spruce Grove, Stony Plain, and the surrounding areas. Spruce Grove is noted for having a number of excellent local recreation opportunities in sport and athletics. Many residents – both youth and adult – participate in sports like box lacrosse, soccer, rugby, and football in the area. Many athletes, such as hockey players Stu Barnes, Nathan Dempsey, Grant Fuhr, and Ben Scrivens, are from Spruce Grove. Other notable residents include mogul skier Jennifer Heil and Canadian Football player Keith Shologan. In addition, the TransAlta Tri Leisure Centre, which first opened in 2002, attracts visitors from all across the nearby area of Parkland County. This centre includes ice rinks, a gym, soccer fields, a large gymnasium, and a professional-grade pool, among other amenities. Other recreational areas include the Heritage Grove bike trail, as well as West District Park. Education in the area is provided by the Parkland School Division No. 70 district, which operates a total of 9 schools in the area, providing a full K-12 education. Evergreen Catholic Separate Regional Division No. 2 also serves the area, with four schools. Living Waters Christian Academy is currently the only private school in Spruce Grove. To learn more about living in Spruce Grove, you can visit the following websites and resources.